Life in SF has basically ground to a screeching halt today, because of Batkid. It seems like everyone knows about it, but maybe that’s only because I’m in the Bay. It’s a pretty great story no matter where you live. A little boy battling leukemia told the Make a Wish Foundation that his only wish was to be Batkid, and to help save Gotham City. 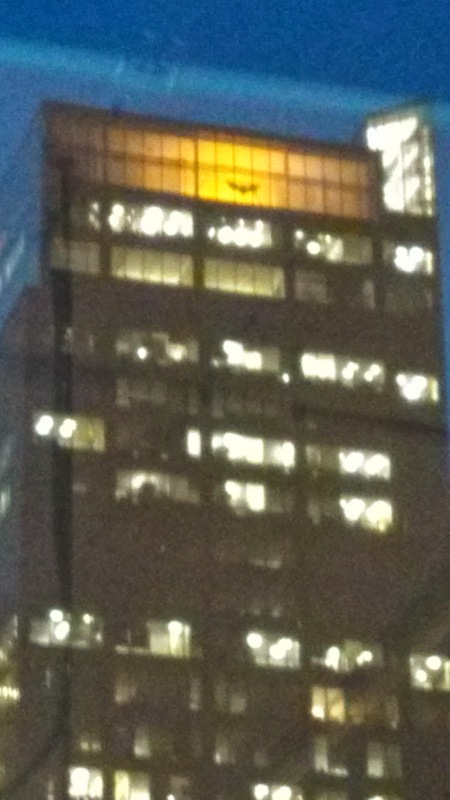 San Francisco rose to the challenge, with more than 12,000 volunteers helping to transform the city into Gotham, complete with bat signal. Batkid has been all over the city today, battling the Riddler and the Penguin, saving damsels in distress and also the SF Giants mascott, Lou Seal, from certain death. He’s been riding around in the batmobile, AKA a black Lamborghini with bat adornments, accompanied by Batman, and Batkid’s little brother, who gets to be Robin for the day. Batkid has been sick since he was 20 months old, so most of his life has been spent in hospitals getting treatment, and today he got to be a superhero. Wishing to be Batkid is pretty creative, as far as wishes go, and all of these people rallying to help make it happen is really amazing. You can learn more about batkid here.